So, I know that I’ve mentioned that we deal with sensory processing disorder at my house. I don’t like to delve too far into it, because it really is Scarlet’s business, but every now and then I come across something that is so helpful I feel like I have to share. And the few times I have shared about it, I’ve found the Prudent Mamas to be so warm and understanding, emailing me and reaching out to bond over the whole experience of raising an SPD kid. With that being said, I am kind of excited to tell you about this crazy new kind of sunscreen that I encountered. I was invited to a party at The Coop (which LA parents know is a super-awesome playspace). So of course Carleton, Scarlet, and I headed over. 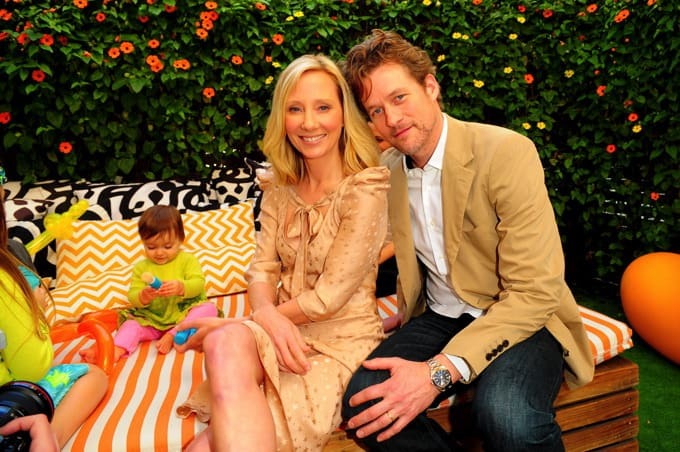 We met Anne Heche and her gorgeous family. I actually hopped into the ball pit. A ball pit is like Scarlet’s idea of heaven, like a massage to her overactive senses. I’m not gonna lie, I loved it too. You can find Scarlet and I in this video, about halfway through, and you can see that she REALLY REALLY likes using this sunscreen! That is saying a lot for any kid, but for the parents of an SPD kid, it’s mind-blowing. If you want to, you can buy Tickle Time here for the next eight hours. So, I guess that’s my hot tip for this Friday. Do y’all have any SPD words of wisdom for me? First, Can I say…I love you even more! 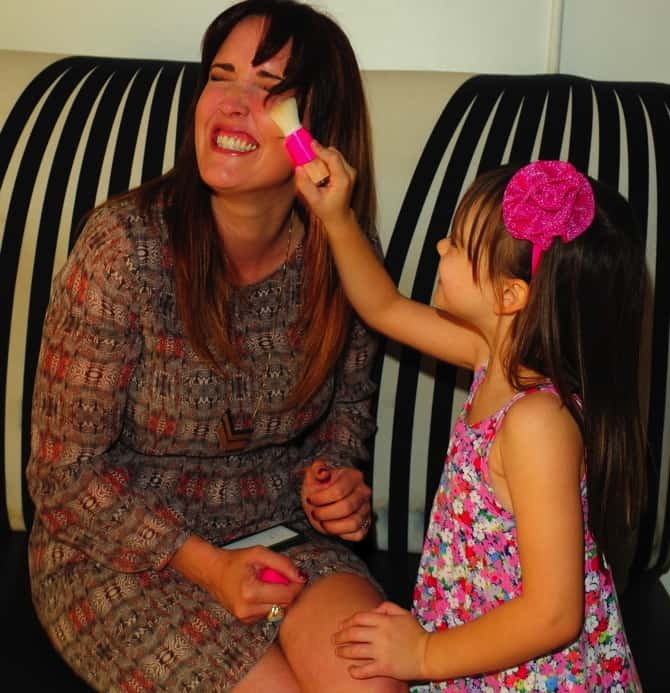 Second…I keep a “sensory diet” with me for my kiddo. a bad/purse of goodies that help sooth him etc. I have a ball to roll on him for pressure. two trains. He has a weighted blankets. Things that he likes and calm him down. If I see him get a little anxious…I give him tight squeeze on his arms or I put pressure on his finger tips. Thanks for the post! I come from a family that has kids with varying levels of sensory processing issues & physical therapy & occupational therapy needs. I’ve gotten a lot of great ideas from PediaStaff on Pinterest, who are a group of OT & PT folks with tons of boards for various things. I get lots of OT exercises to do over school vacations and some sensory ideas for when my kiddo is craving stimulation. Thanks for opening up about this. xoxo to you all! thank you for this! no idea there was pinterest boards to help! It’s a lot of info, but you can pick and sort which boards work for you, or just bookmark and browse. I found them when I was searching for things for vestibular integration/vestibular sensory stimulation. I always tell people there’s a lot more than mason jars on Pinterest. Though Lord knows I love me some mason jars. Thank you for this introduction to Tickle TIme! Both my kids and husband flip every time I have to put sunscreen on them. The kids watched the video and it was an overwhelming “yes” can we please have that! They are 11 and 14 and still find “sticky and slick” difficult to deal with! Even my husband won’t whine! Ive been reading you for over a year, am a big big fan ( though did you really mean to hook me on this badly, ugh so much eye candy? ) but i missed this spd part somehow. My husband calls SPD just being a kid. Our 3 has some of it, not full blown but enough to warrant ot. A really goid ot is key. Our first misdiagnosed and wasted 7 months of our time and money. Within the spd realm there is plenty of room for that, there are flavors. Brush protocol, lyrca clothing (bet you can whip up some cute dresses that hug), pinterest and blog for starfishtherapies and nspT4kids.com. Homemade heavy blankets, lap and neck pets, fidgets, theraputty. I could easily write more. I feel you. Early intervention means this will pass quickly. Good job being an observant mama and noticing. thank you for the tips! loose lycra and jersey clothing with the seams on the outside is my sewing expertise these days. I hate to be a Debbie Downer but according to the Environmental Working Group website you should steer clear of mineral powder sunscreens. You should at least read up on why there is a concern before deciding to purchase this sunscreen. Powdered sunscreens made the EWG 2012 “Hall of Shame” because of the potential for the particles to get lodged in your lungs.